Gelato is a cold dessert, also called ice cream, it’s very popular in summer, it mainly located in a shopping center or foods store. 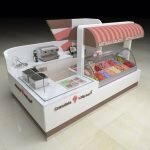 here In this article what I wanna share is a very fashional gelato kiosk for your meet. let see more details together. At first, we can see the whole kiosk mainly tone is white, purple and green, match brown wood grain roof. 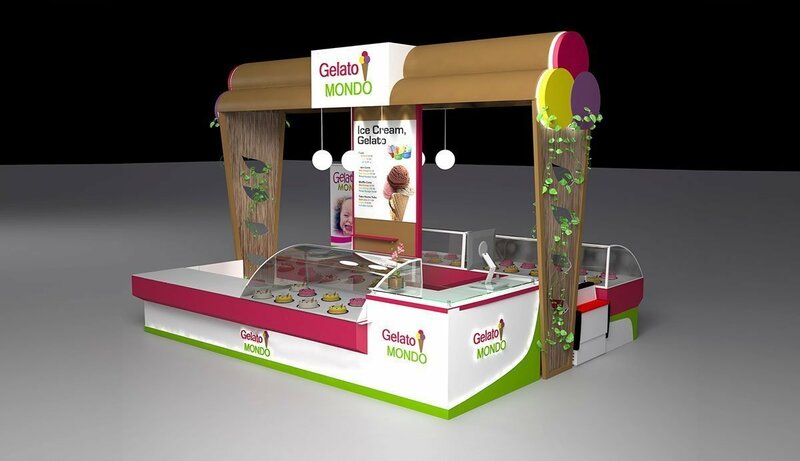 the front part and the back sides put three big fridges, it mainly for gelato display. at the broadside Fake grass decoration. the top is made of three round pillar, in the middle is the double sides display logo and some ceiling lamp decoration. also with a high display stand for put menu lightbox. looks very nice. 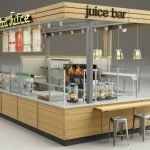 What Points you will notice to build a gelato kiosk in a mall? kiosk in the mall. if you’re interested to start your own food business like this one, pls direct contact us, welcome inquiry. Thank you! 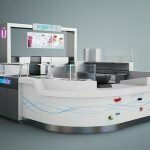 Gelato Kiosk for ice cream, coffee & waffle service combined.